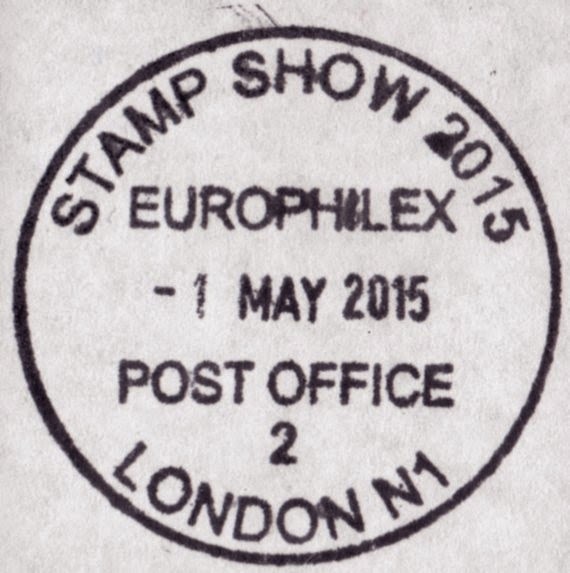 As at London 2010, there will be an operational Post Office at the Europhilex Stamp Show in London, 13-16 May 2015. This facility will accept mail, sell Postal Orders, Bureau de Change and cash withdrawals. 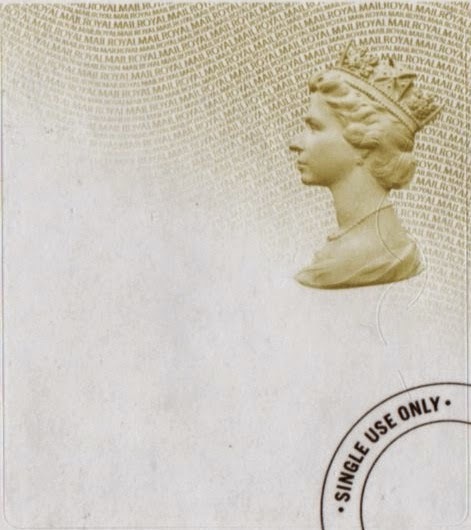 Of interest to collectors will be the new Horizon label, first mentioned in June 2014. 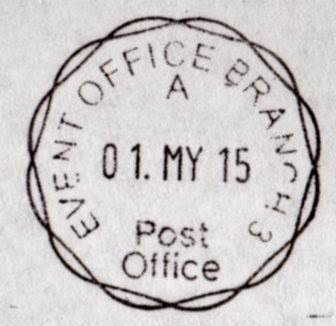 Two operational postmarks will be available, the self-inking date stamp 'Event Office Branch 3' and a 45mm rubber 'Stamp Show 2015' handstamp. The rubber handstamp will have index 1 for items posted during each day and index 2 for items posted after the last collection of the day. Items must be received by Friday 15th May and will be reposted on the day of receipt. 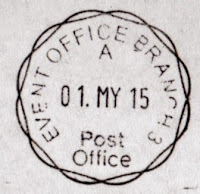 Please specify handstamp required (SID or Rubber) - only priority items or items of format Large Letter and above are handstamped at Post Office counters.